A Sense of Urgency and Experience. Mostly, This Gets Accomplished Through Building Solid Relationships. Mary Gorski has more than 15 years of corporate human resource management and assessment experience. She has worked with many levels of leadership and understands the needs of a well-run, efficient business. At the same time she understands the human factor and what motivates people to maximum performance and efficiency. Using her experience and tools from Profiles International, Mary works with business owners to identify their people talent and help them understand how their workers drive results. She begins with diagnosis, and then designs a plan for improving workforce effectiveness. As a result of her assistance, businesses profit from a more motivated, engaged and productive workforce. 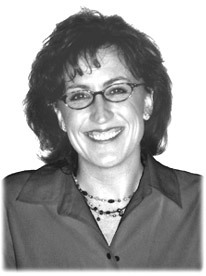 Visit her Web site at www.mgassessments.com. Her e-mail address is mgorski@mgassessments.com. Telephone: 952-322-3330.